Dirt, mold and air pollutants can build up on the exterior of your home and leave it looking grimy and dirty. 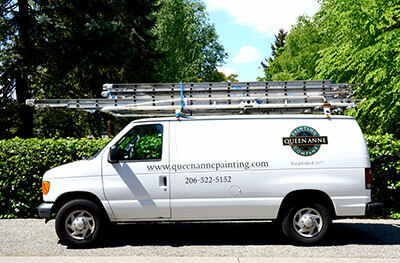 The good news is that the experts at Queen Anne Painting are more than happy to clean it for you. Which means you don’t have to climb a ladder, with a bucket of soapy water and a sponge ever again. Gentle pressure washing is one of the best things you can do for the exterior of your home because it removes molds and air pollutants that damage the paint, helping to keep your home looking its best and your paint will last longer. We also pressure wash walkways, patios and driveways to remove dirt, moss and mold to help keep them safe and attractive. Don’t let dirt, mold and air pollutants from winter make your once-beautiful home look dirty. Let our professional team complete your pressure washing and cleaning before spring arrives.